"Childhood obesity rates will continue to rise unless we aggressively tackle the issue," says Kimberly J. Rask, MD/PhD, associate professor in the department of Health Policy and Management at Emory’s Rollins School of Public Health. 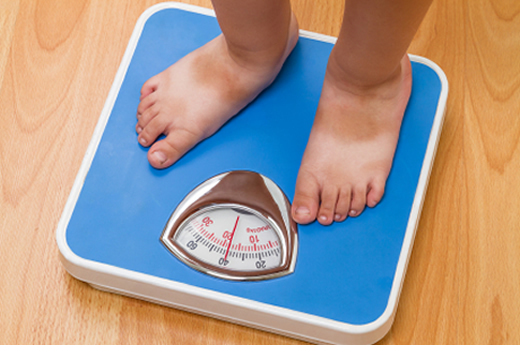 The rise in childhood obesity and associated health conditions has become a significant concern in the United States. An initiative by the Alliance for a Healthier Generation, which fights childhood obesity, found benefits in expanding health care coverage to obesity services, preventive care and ensuring that families comply with preventive care guidelines. Researchers from Emory's Rollins School of Public Health collaborated with the Alliance for a Healthier Generation to evaluate and report findings from their Healthier Generation Benefit, in which the national non-profit organization joined forces with private health insurance companies and large self-insured employers to expand health insurance coverage for the prevention, assessment and treatment of childhood obesity. Insurers agreed to pay for at least four follow-up visits with the child’s primary care provider and at least four visits with a registered dietician per year for children in the 85th percentile or higher of BMI for their age. Insurers and employers also agreed to annually distribute obesity-related educational materials to eligible beneficiaries and monitor utilization by sharing yearly administrative data. "Childhood obesity rates will continue to rise unless we aggressively tackle the issue," says Kimberly J. Rask, MD/PhD, associate professor in the department of Health Policy and Management at Emory’s Rollins School of Public Health. "This initiative is groundbreaking in that the findings are relevant to many preventive health goals and can be used to improve the effectiveness of future efforts to promote preventive care through insurance redesign." Key Informant Interviews: Interviews were conducted with the implementation coordinators for all participating insurers or employers who offered the coverage for at least a year while additional interviews were conducted with those covering for at least two years. The interviews contained questions about coverage, eligibility, implementation, barriers and lessons learned. Administrative Claim Data Review: Key informants were asked about changes in utilization of obesity-specific health care services and non-identifiable health plan administrative claims were reviewed to monitor the use of obesity-related counseling codes. The findings indicated that the overall initiative was successful in expanding health care coverage for obesity services with all participating organizations being able to implement and offer the coverage. Participants also identified several potential barriers in translating access into utilization, communication of new coverage between providers and families, facilitating the varying requirements for documentation, varying acceptance of billing codes across insurers for providers, and low use of BMI-specific diagnosis codes and counseling billing codes. "The experiences of the early adopters of the Healthier Generation Benefit provide important models and guidance for the implementation of insurance incentives to help combat childhood obesity," says Victoria Brown, vice president for the Alliance for a Healthier Generation and co-author of the article. "We are excited about the results of the report and look forward to exploring ways to improve this innovative approach to health care delivery. The efforts of everyone involved confirm that a team-based approach among physicians, dieticians, providers, healthcare organizations, and families is required to eliminate the childhood obesity crisis."